Norway is still a major shipping nation with a complete and diversified maritime industry that continues to develop state of the art solutions for future shipping. TeamTec products, manufactured by Golar Metal from the early sixties until 1984, are well-known in the marine and offshore industry, and are also used for onshore applications. TeamTec was founded 17 May, 1984 by a small group of enthusiastic pioneers, continuing a tradition of marine industrial activity at Tangen in Tvedestrand that dates back to around year 1700. Today TeamTec is one of the world leaders in manufacturing and sales of TeamTec Incinerators and TeamTec Ejectors with presence in all major shipbuilding markets, having an established, global sales and service organization. Since the very beginning, TeamTec strive to be in the forefront within our product range offering innovative and user-friendly solutions. 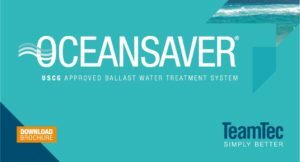 As a valuable extention of TeamTec’s portfolio, TeamTec Oceansaver® BWTS was acquired in September, 2017. TeamTec believes the added product fits right into our existing sales, service and manufacturing setup which is already geared towards commercial vessels built at yards worldwide. TeamTec can offer significant added value for customers with the ballast water treatment product range integrated into an already profitable and sustainable business. 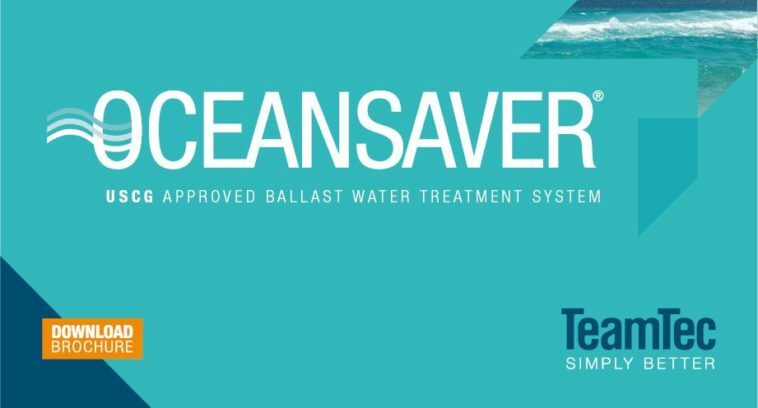 TeamTec Oceansaver® BWTS is approved by IMO and has successfully completed the stringent test regime by the US Coast Guard and obtained a USCG type approval. Stay safe and compliant with the expertise and experience of TeamTec when selecting your BWTS!